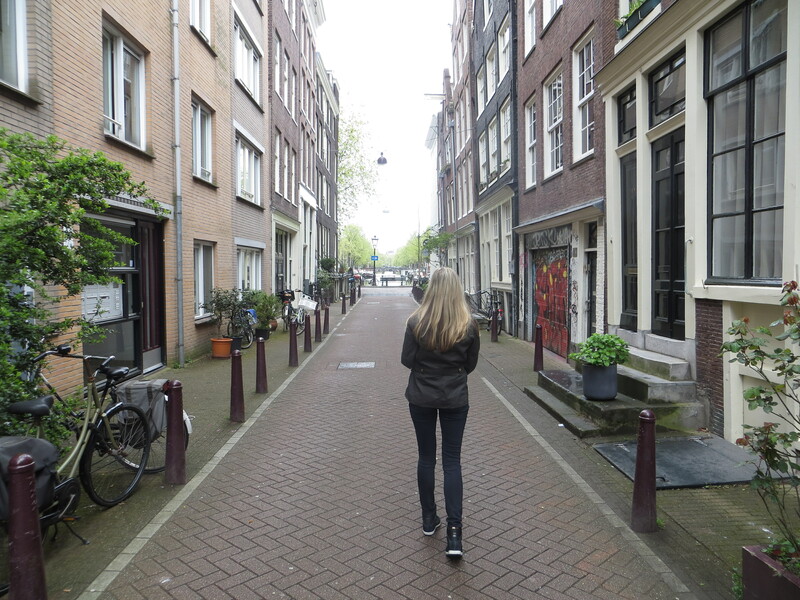 Many “cutesy” stereotypes came to mind whenever I pictured Amsterdam…and after visiting this week, I found most of them were actually true. 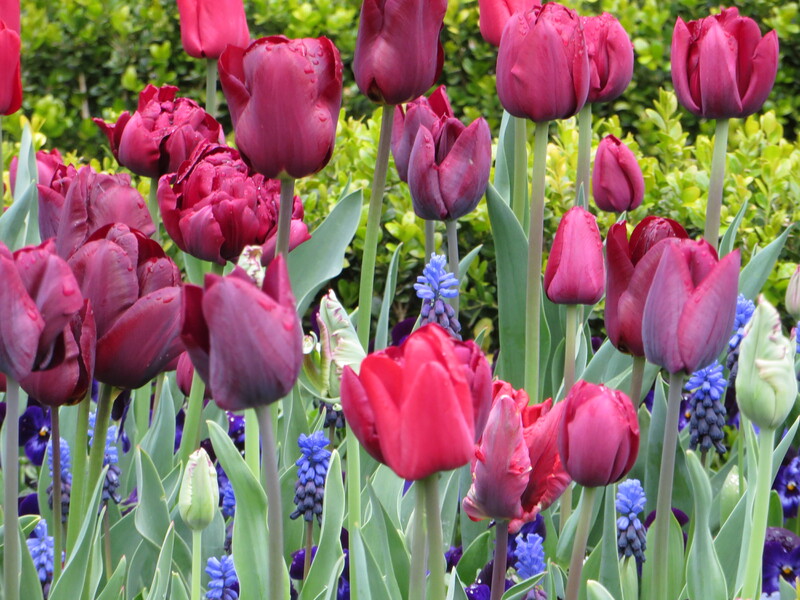 Tulips are everywhere. 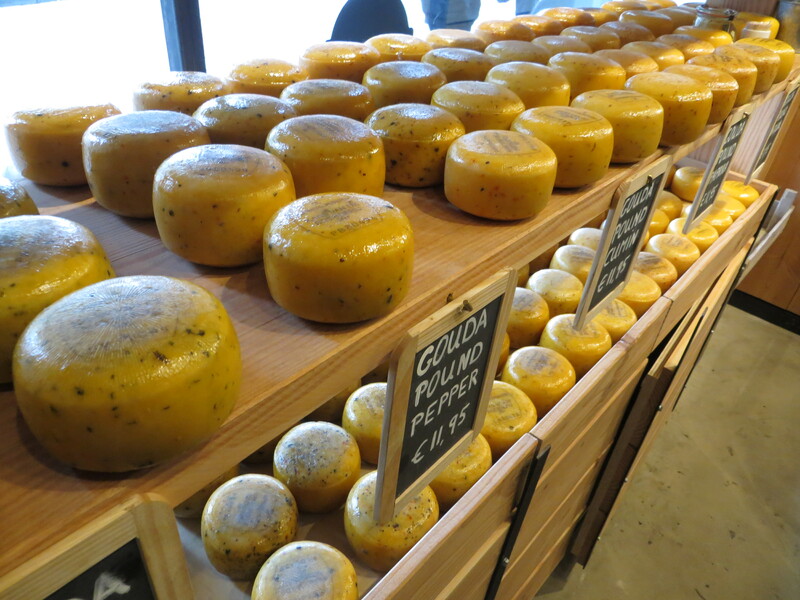 Gouda is in abundance. Bicycles are more common than cars. 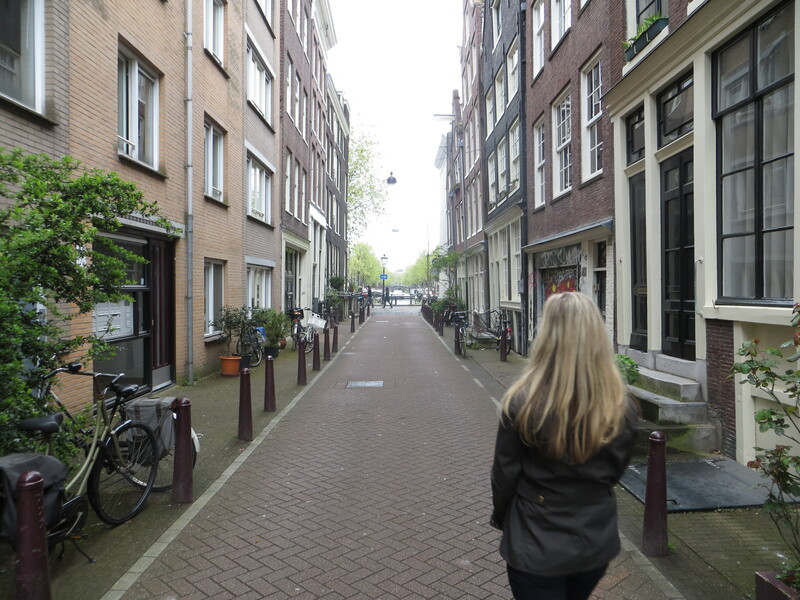 Minus residents wearing clogs, Amsterdam was in many ways what I had dreamt about. 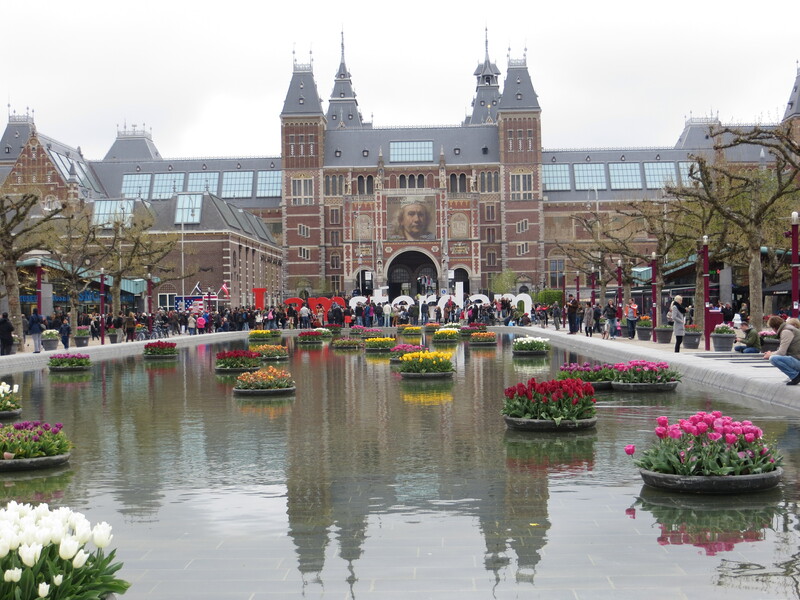 But before being written off as a complete fairytale land, Amsterdam surprised me with edgy street art, modern architecture and international cuisine. The city’s history may date long before Columbus discovered the New World, but it continues to be a vibrant, evolving place that proved to me many times over why it remains culturally significant. 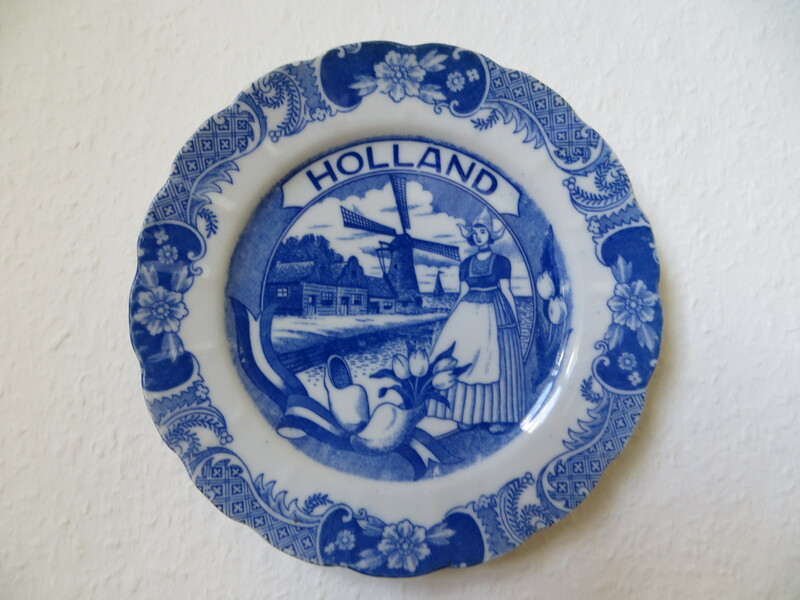 We booked our trip to Amsterdam to coincide with The Netherlands’ national holiday–King’s Day or Konigsdag (April 27)–after reading that it is a once-in-lifetime Dutch experience. When we arrived Sunday morning, it felt like the calm before the storm. Residents were putting up orange banners, rushing home from the market with good things to eat and toasting the king over beers. The day felt a bit like Christmas Eve as a child–there is something in the air, something to look forward to, but you don’t quite know what Santa is going to bring. 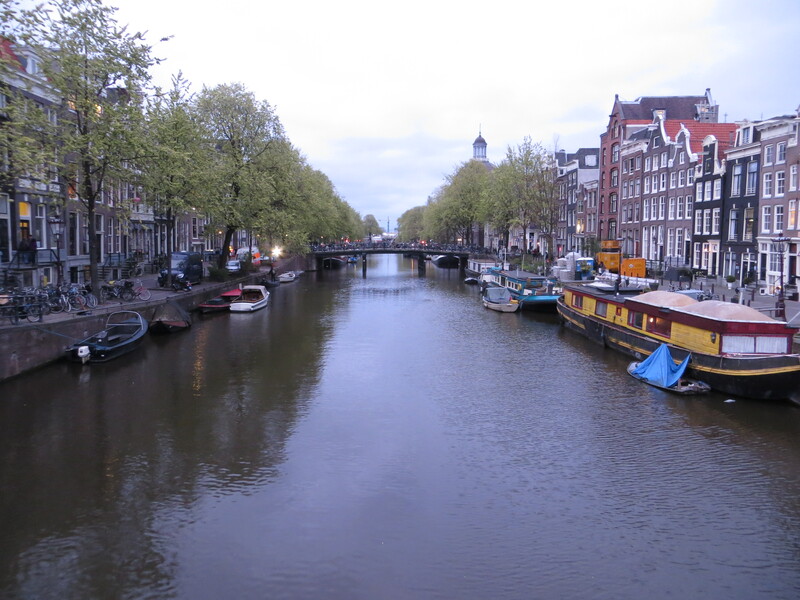 We stayed in a 400-year-old canal house we rented through Airbnb in the hip Jordaan neighborhood. Thanks to recommendations from another cool Swiss blogger, we were able to locate the most stylish cafes and shops easily. 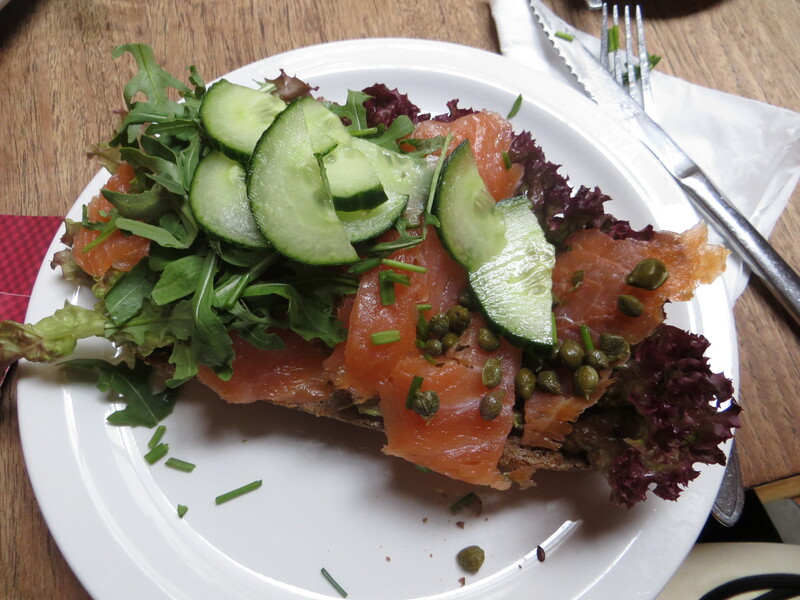 We had our first Dutch meal at Cafe de Tuin, where I enjoyed a super-stacked, open-faced sandwich of all my favorite things: smoked salmon, capers and cream cheese. My husband likes to point out every time I “eat fish for breakfast” (as often as I can!) as if it is the craziest thing he has ever witnessed, but The Netherlands is smoked fish country. It’s part of experiencing the local culture. 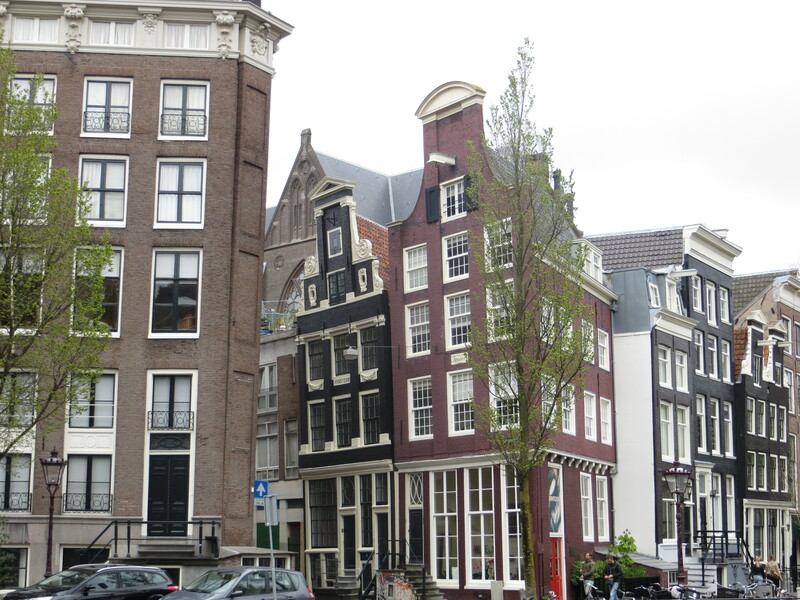 No, Amsterdam is not going the way of sinking Venice, but buildings are certainly leaning this way and that. 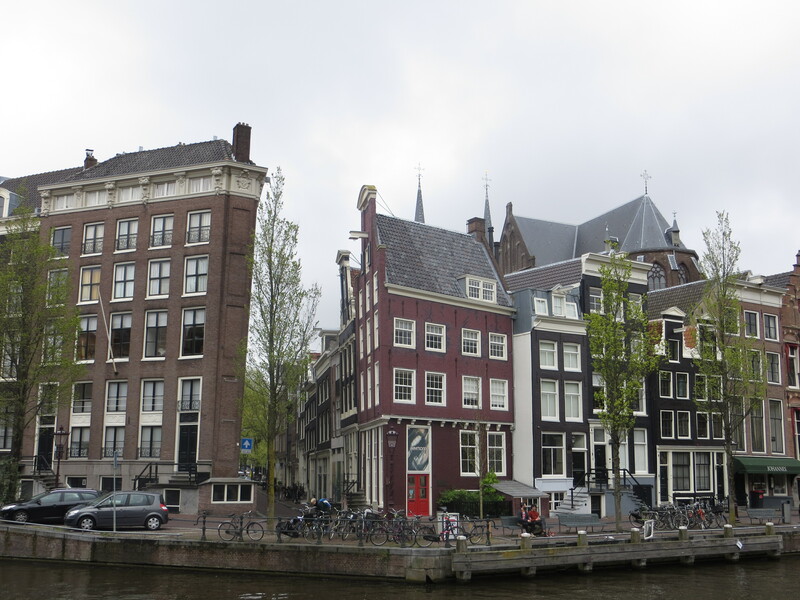 Apparently most canal homes built in the 17th century were constructed with their facades leaning slightly out towards the street. The purpose was for hoisting furniture outside the building from the ground floor to higher floors (where they were safe from floods) without hitting the facade. 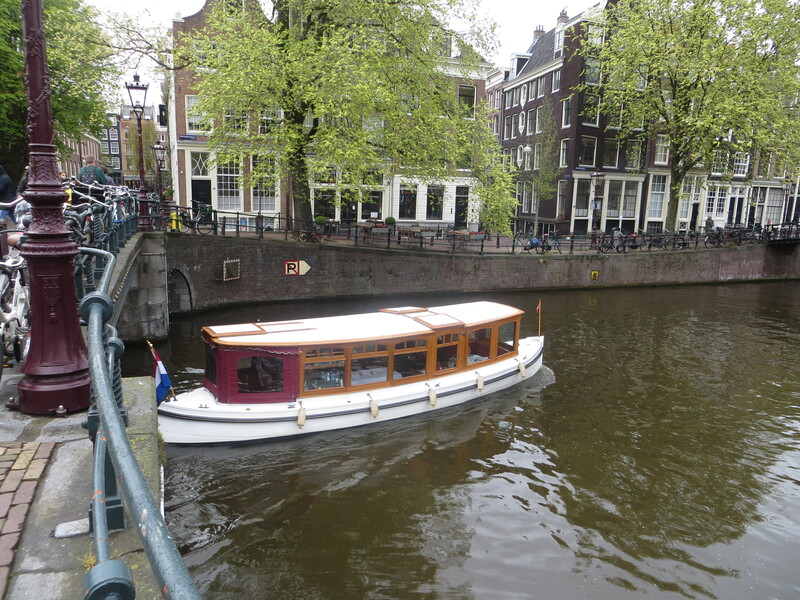 They simply add to Amsterdam’s charm, in my opinion. 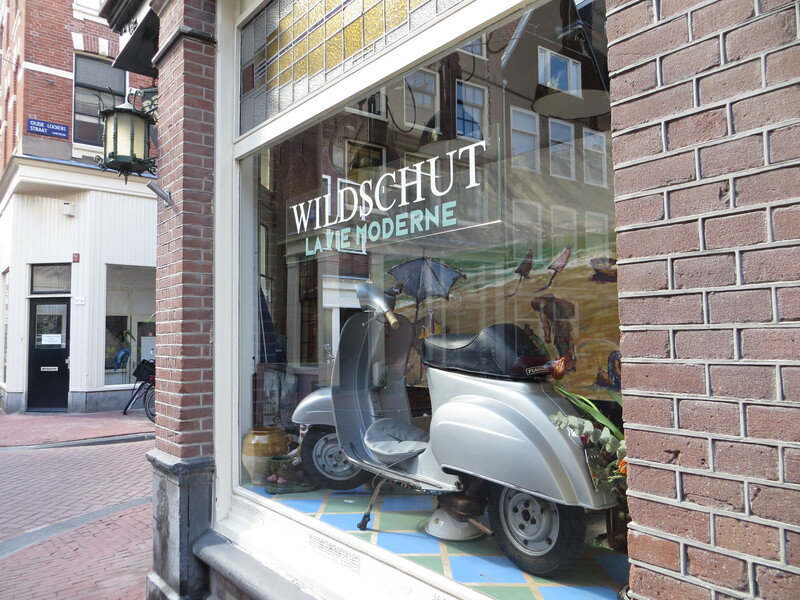 We meandered our way south through the city, taking photos and stopping into shops until we arrived at the Van Gogh Museum in the afternoon. Always a favorite of mine. 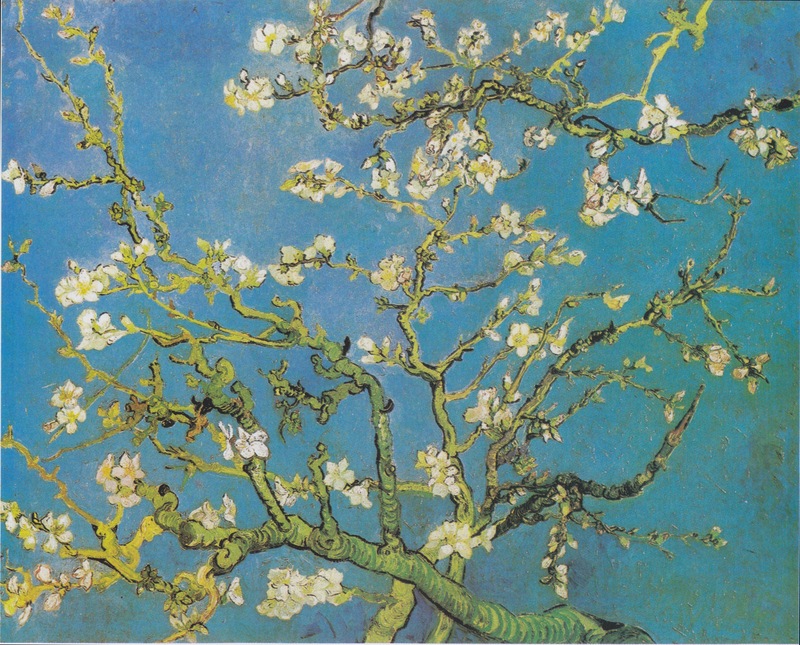 “Almond Blossoms”–painted for the birth of his nephew. 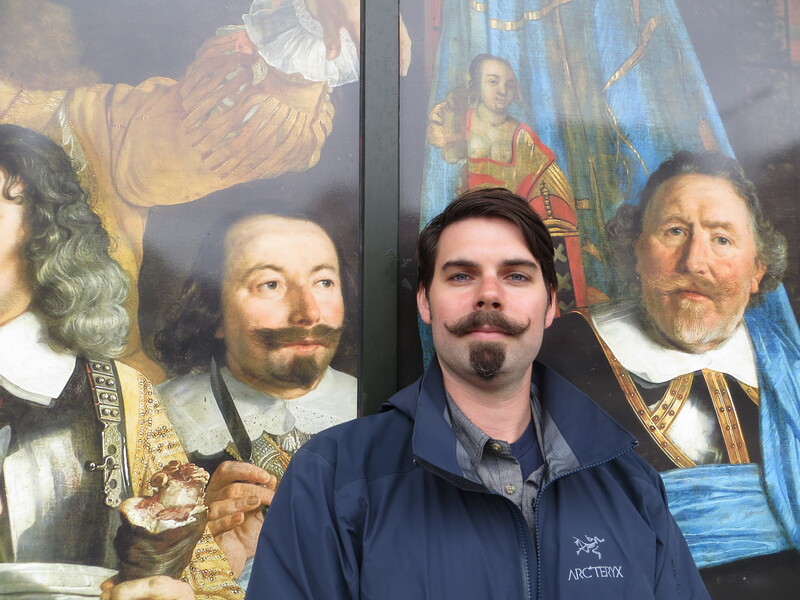 Although we couldn’t squeeze the Rembrandt Museum into our 48 hours, my husband shaved his beard into a Dutch Masters-inspired style in honor of our trip. He got so many compliments around Amsterdam, but I’m happy to report that he is back to a clean-shaven face today. I was beginning to feel like I was living with a cartoon! Trying out bold, new looks is just another byproduct of the anonymity we feel while living in Europe as expats…but more on that later. 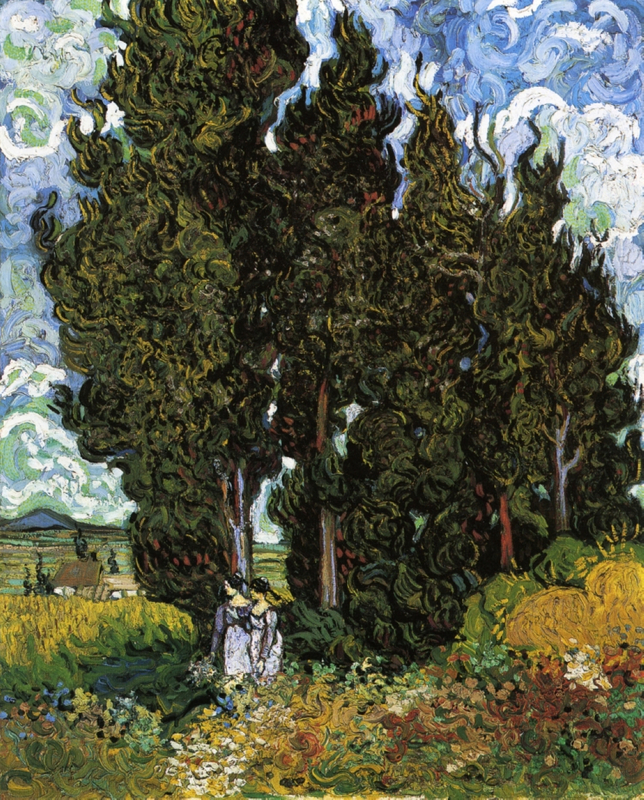 For now, nog sen prettige dag (have a good day)! Another armchair tour with my morning coffee. 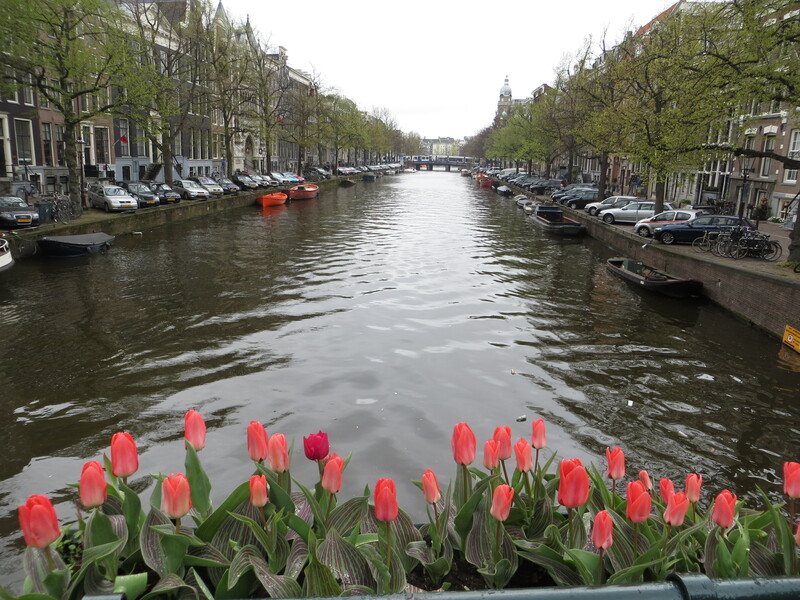 Haven’t visited Amsterdam yet but def would like to after seeing your photos and reading about your trip. As for the hubby and his facial hair tribute, he’s an artist like his Mom, and a comic like his Dad. Thanks Paige! Love it! So glad you had a good time and that our recs were helpful! That beard is incredible, btw.